Cook Pro Stainless Steel Chafing Dish Description The Cook Pro Stainless Steel Chafing Dish keeps food fresh, while the included lid also helps trap heat. This 4 qt chafing dish is ideal for entertaining, and it can also be used on-the-go for events such as neighborhood picnics or office lunches. The durable and attractive stainless steel finish on this chafing dish with lid makes it well-suited for almost any kitchen or dining space and can match almost any current decor. 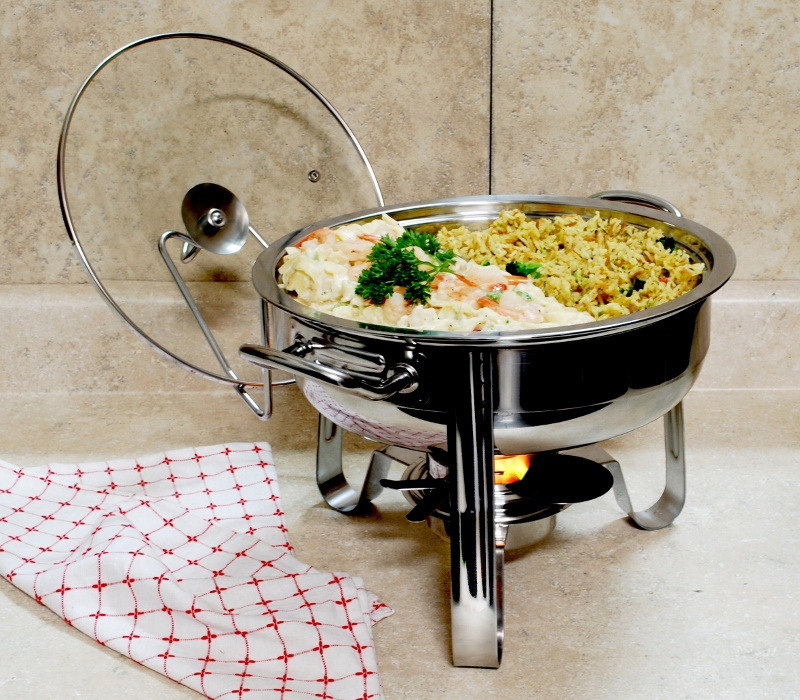 The 4-qt capacity of this Cook Pro Stainless Steel Chafing Dish allows for many uses. Durable and attractive stainless steel finish 4 qt capacity Keeps food fresh and hot Included lid helps trap heat Ideal for entertaining or on-the-go use . Provides optimal heat output. Created to reach and maintain the minimum food holding temperature of 140 degrees fahrenheit. Ideal for food applications because of its reliable, steady burn and is versatile enough to be used with a broad range of equipment. 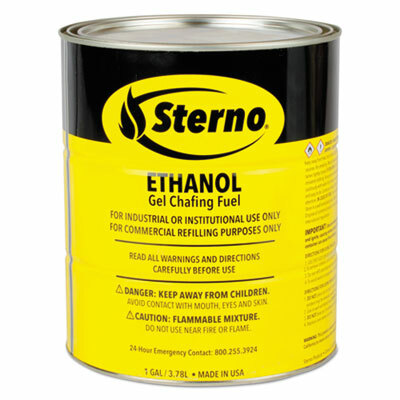 Fuel Type: Ethanol; Physical Form: Liquid; Capacity (Volume): 1 gal; Packing Type: Can.